The EL MONTE INTL depot in New York is in Linden, New Jersey which is about 34.8 miles from the JFK International Airport, 8.1 miles from the Newark International Airport and 1.3 miles from the City. Transfers available in Newark airport area only. Taxi fare would cost around $85 from JFK, $28 from EWR and $57 from the city. Get your EL MONTE International RV hire in New York through Camper Travel. Low Rates, Best Price Guaranteed. Specials and Discounts all in. Long and short term hires. Pickup will be one of C22, C28, FS31, AF34, or C25. The perfect motorhome for 4 adults & 1 child. 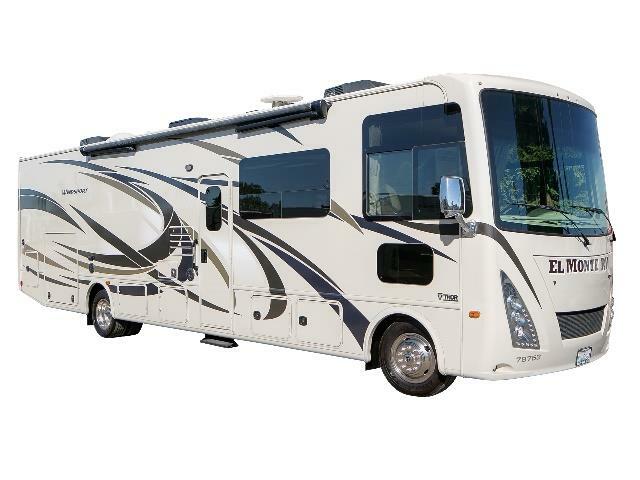 The 35' feet Motorhome sleeps up to 6 people. You must call no later than 9:00 am the day of pickup and schedule a vehicle pickup time. *Not available for clients with PAD option. Complimentary transfer will be provided in Newark airport area only. Shuttle Transfer for Midtown Manhattan hotel transfer will be charged $80 per direction.